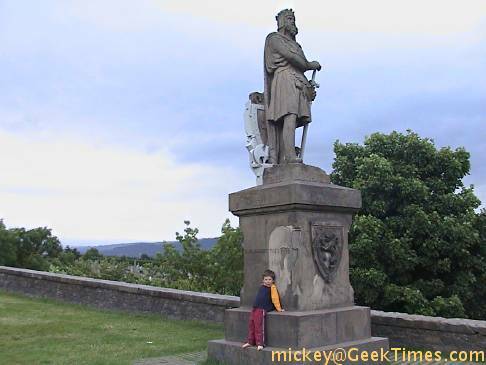 Today we're at Stirling Castle. One of the difficulties when touring with children - at least the way we do it, trying to see things as the locals do - is that we rarely book events ahead of time, preferring to be swept from here to there. 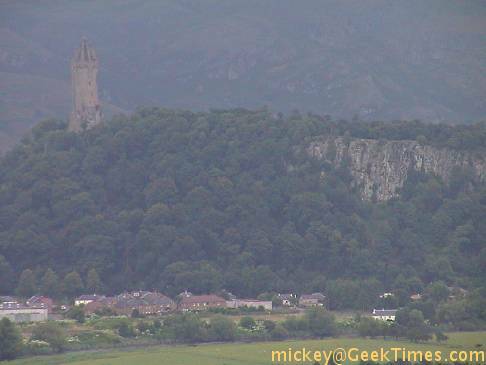 A downside of this method is that sometimes one misses open hours, as we did here at Stirling Castle. So, until we return, you'll get only our impressions of the outside. 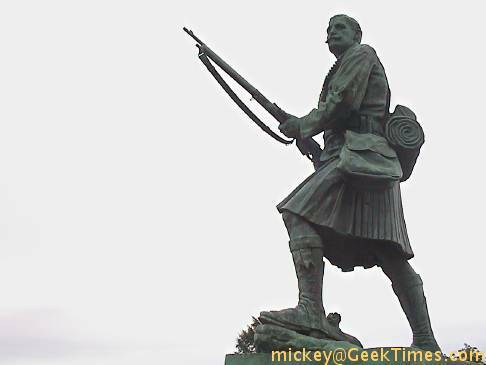 Anything with a kilt is of interest around here, and this soldier statue on the front grounds is no exception. Rose remembers me saying that the Germans called the Scot soldiers "ladies from Hell" and held them in high esteem. I can't recall which war that was, though. 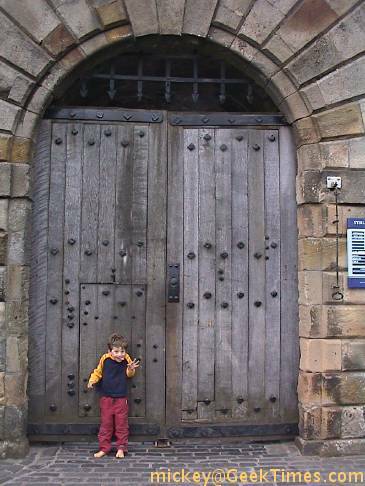 Here's little Isaac standing at the main doors of the castle. He loved the little "kid door", and was happy to see that we adults would have to adapt to his accomodations rather than the usual state of things. It's good to be the King. With a kid from the New World lounging on your statue. The view of the town, far below. Defenses are good. Down below there was a grand little playground in a housing area (which we spotted from the road). The kids played with their peers and we got to chatting with their nannies and mothers. The accents were enjoyed all around. Tomorrow we'll be visiting the wonderfully-named town of Ballachulish.